The Bermuda Arts Centre is getting set to open their “Small Works Show” on Sunday [Nov 18] from 3.30pm to 5.00pm. 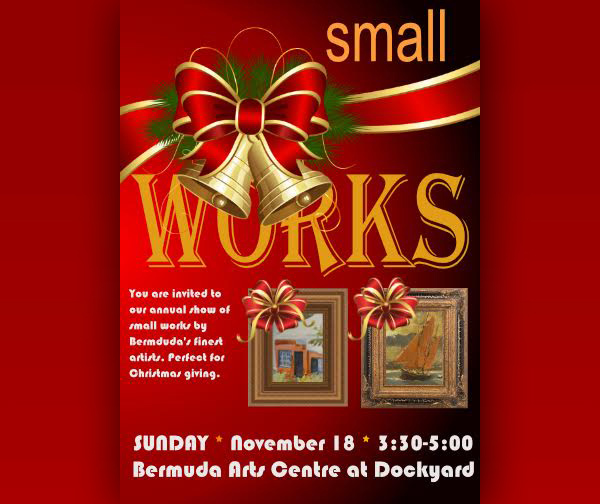 A spokesperson said, “This Sunday, the Bermuda Arts Centre invites everyone to their annual Small Works Show. The show features work in all media and all topics. The only stipulation given to artists is that no work can be larger than 8×10 [unframed]. It is an ideal time for early Christmas shopping. Works are small and easy to transport as well as being affordable. 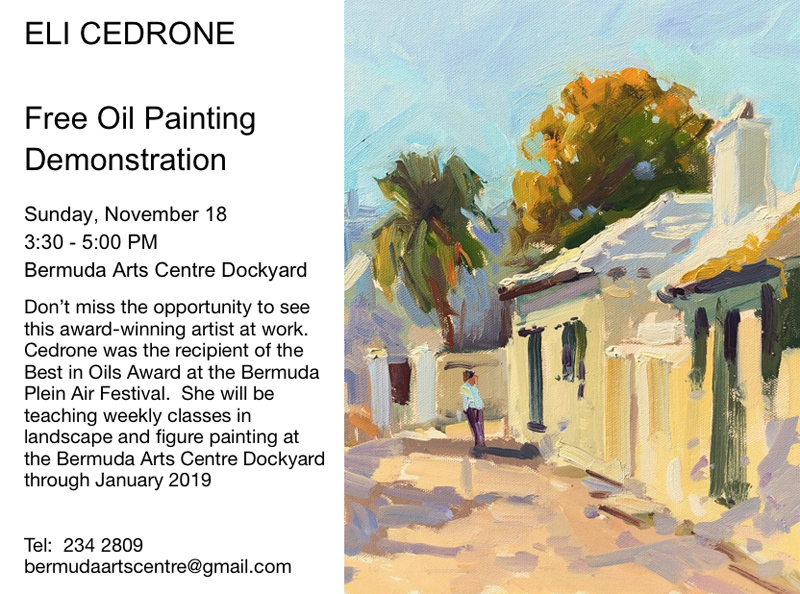 “During the opening, Eli Cedrone will be offering a free oil painting demonstration and will be available to chat and answer questions. Anyone that is interested in signing up for one of her classes that are happening now through January may do so at that time. “The opening is from 3.30pm to 5.00pm. All are welcome. The show remains hanging until January 16, 2019. Wheel chair accessible.